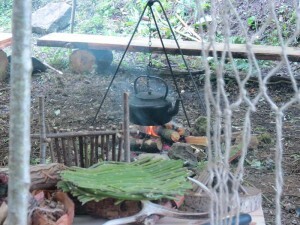 Inspired and essential outdoor learning experiences……. Our passion is the British countryside and reconnecting people with it. We have found that everyone carries the ‘tools’ within themselves to manage and understand the ‘outdoors’. 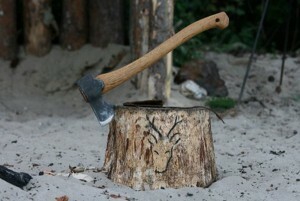 ‘Bushcraft is the art of possibility’! Over time man has become disconnected from his natural environment, the trappings of modern society have created easier access to the essential commodities. 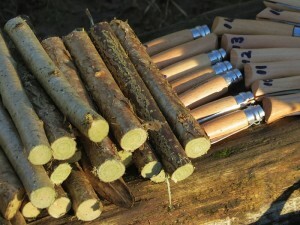 By taking students out in to our woodland facilities on the Wiltshire-Somerset borders, we have noticed that with a little bit of basic ‘know how’ and encouragement they discover the arts of self reliance and natural ingenuity… ‘The more you know, the less you carry!’. Within hours adults and children alike, whilst out with us in the woods, start to slow down, take notice of their surroundings and rediscover their natural place. Enhance this ‘awareness’ with some knifecraft, sheltercraft, plantlore, firecraft and wilderness living skills people then start to become self reliant and confident. Almost without exception, every pupil or student who has made a ‘journey’ in to bushcraft and nature with us has been inspired. We would like to think we play our part , but the subject is full of revelations and is very humbling. As you start to learn you realise there are no bounds and even across a life time you are still left a student. Please browse through ‘the pages’ of our website and perhaps visit our Facebook and Instagram social media sites for up to date news and images. If you need more information or have any further questions please contact us. Thank you. Mark, Lucy, John and Tim. 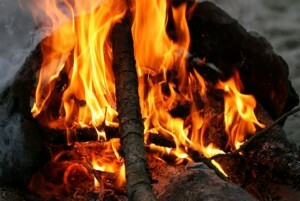 Situated on the Wiltshire & Somerset borders, a leading provider of Bushcraft experiences.